Word comes from Bruce Campbell himself that he has joined the prequel to The Wizard of Oz entitled, Oz: The Great and Powerful. The film stars James Franco as the younger Oz as well as Mila Kunis, Rachel Weisz, Michelle Williams and Zach Braff. The film is set to release on March 8th, 2013. Sam Raimi has refused to tell Campbell who he will portray, only that the role is pivotal. Movie plot: This is a prequel to The Wonderful Wizard of Oz (1900) by L. Frank Baum, told from the point of view of the Wizard. 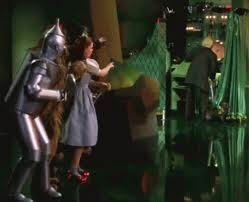 It tells how the Wizard arrived in Oz and how he became the ruler. Comments for Bruce Campbell Joins Cast of “Oz: The Great and Powerful” are now closed.